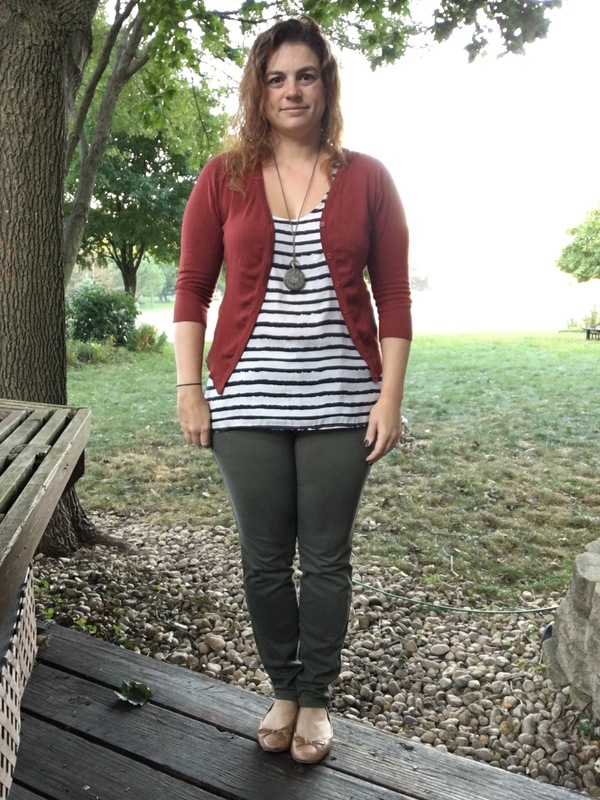 Colored pants have been at the top of my shopping list for a while now, but this weekend I finally made it a priority to go out and find some. And I’m so glad I did! I did quite get everything I was looking for, and I ended up with a few extra things, but I think they will be valuable additions to my closet! I only had about an hour to shop on Friday night, so I decided to start with the store that carries my very favorite brand of jeans: Stylus at JCPenney. 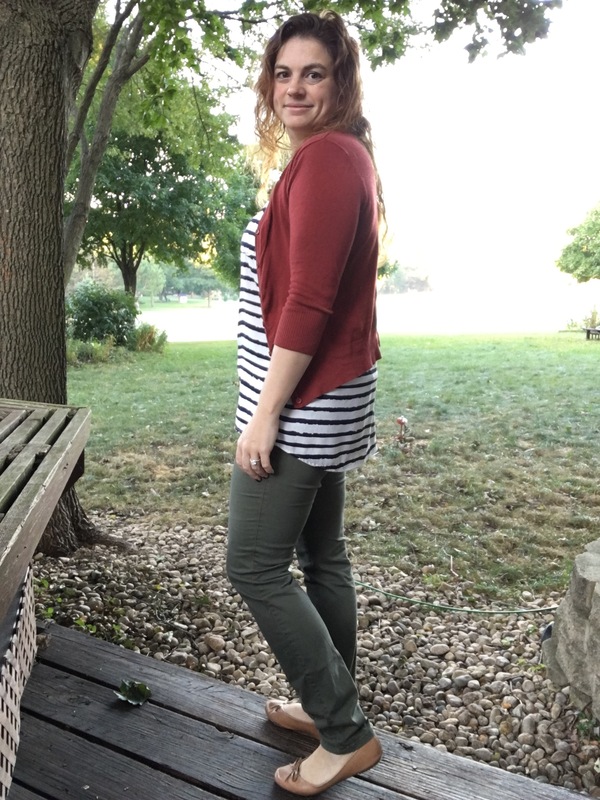 The ankle crop skinnies are what I’m wearing pretty much every day, so I was hoping to find those in some great colors. JCP also has their a.n.a. Brand, which I’ve had some luck with in the past. Fortunately for my power shopping self, both brands had some good colors to choose from. I ended up with olive, maroon (a.n.a. brand) and black skinny jeans, as well as a great pair of trouser-cut jeans as well. You’ll be seeing those this week and I’ll round up the whole shopping trip at the end of the week. 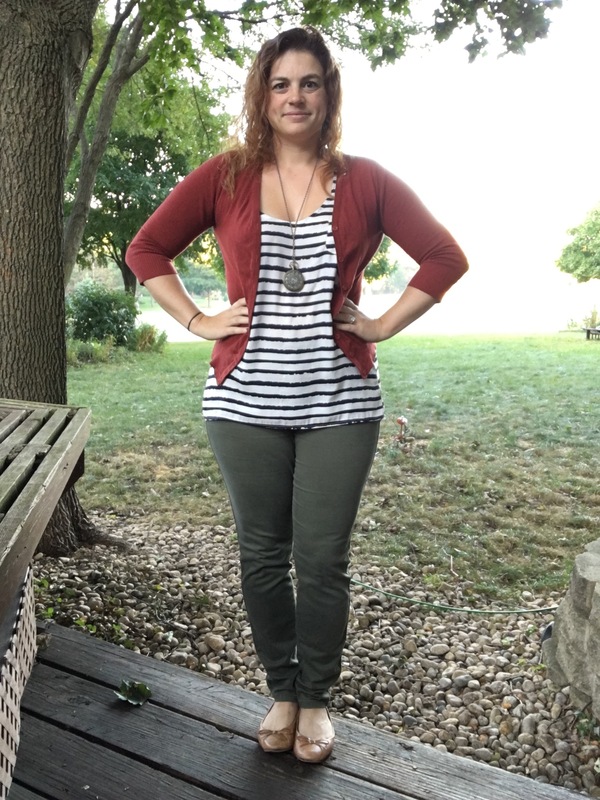 Though today is supposed to be warm here in the Midwest, I was too excited about these olive jeans to wait for fall temps. I went with a very Fall palette with a rust colored cardigan and camel colored shoes. 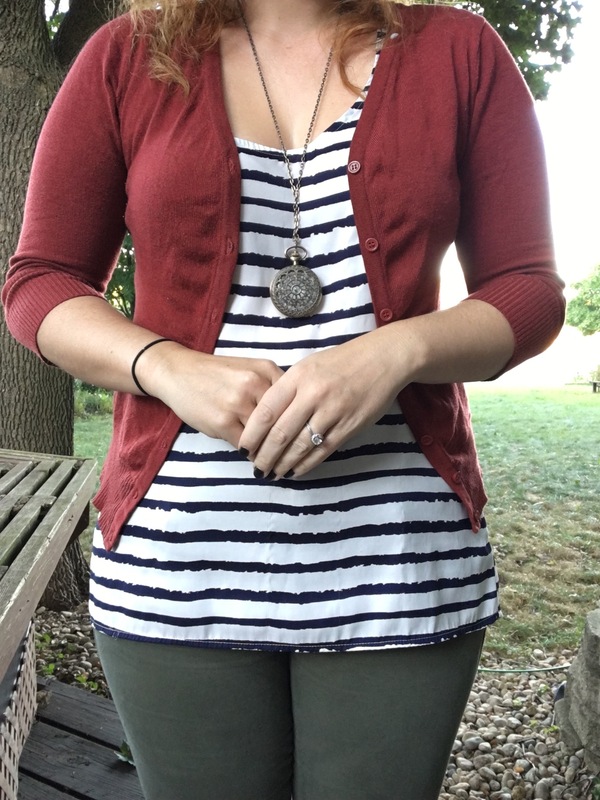 The striped top provides a nice bold pattern to set off the softer colors of the rest of the outfit. What color jeans are on your list for this fall? Thank you! 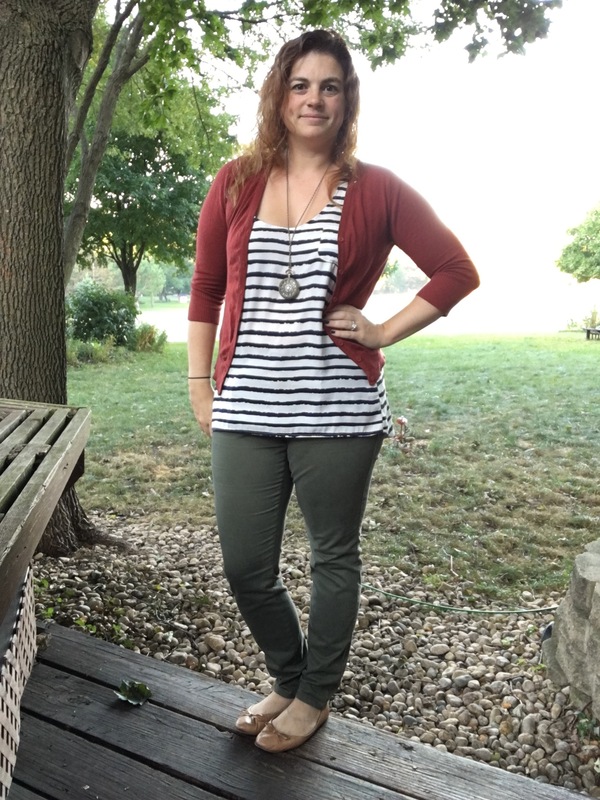 These pants are one of my favorite things I’ve added to my closet this year.